Inquiries｜DK HOUSE (Official Website) Apartment houses in the Tokyo and Hokkaido areas with great prices and high-quality furniture. Please fill out the following : Check our "FAQ" page before doing so. You might be able to find the answer you are looking for. *Please make sure to fill out all the required fields. 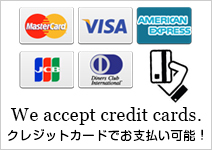 ※Students must have either a student visa or a student identification card. Please apply for DK HOUSE here.